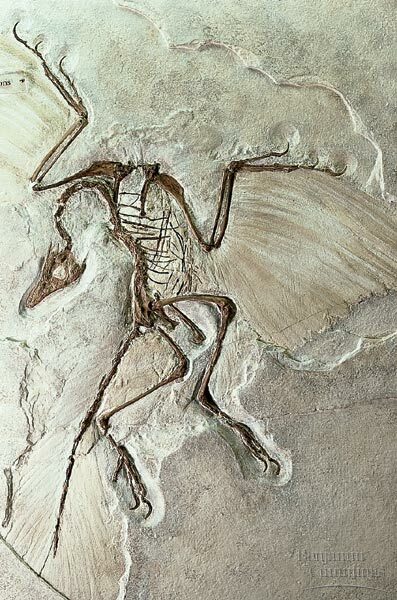 Archaeopteryx (“original bird” or “first bird”) is the earliest and most primitive bird known. The first specimen was found in 1891, almost coincident with Darwin’s publication of Origin of Species two years later, and ten more have since been found. 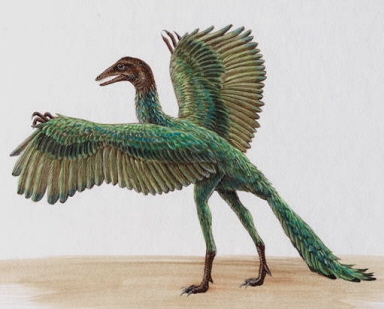 Archaeopteryx was about the size of a crow with short, broad wings and a long tail. 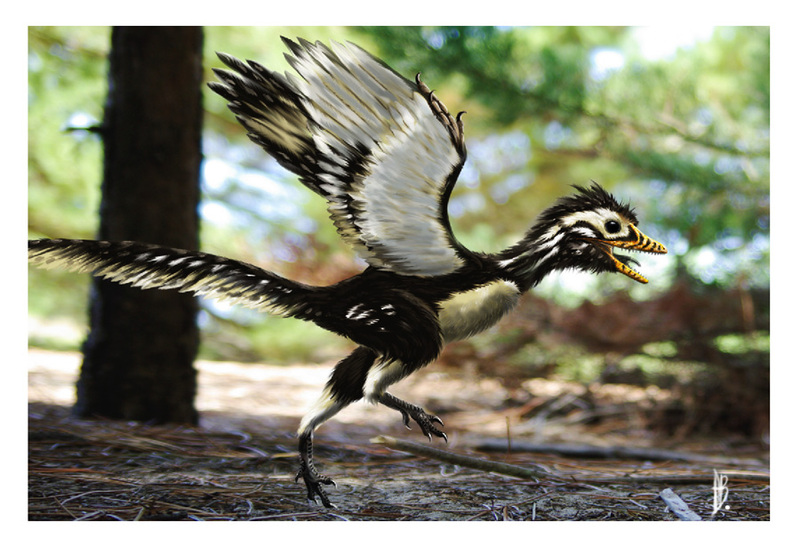 While its feathers were similar to those of living birds, it had jaws lined with sharp teeth, three fingers ending in curving claws, and a long bony tail, in stark contrast to modern birds. Archaeopteryx’s many features of dinosaurs such as the jaws with teeth, tiny forelimbs with three claws, a long tail and a head covered with scales while body, wings and tail were covered with feathers as in a bird provides strong evidence of the dinosaur ancestry of birds, and, more generally, of the validity of the Theory of Evolution.